Last Monday, my phone was stolen from my pocket as I walked to lunch down the street from my office. It was quite a shock because not only am I very familiar with that calm street, but I had never been pick-pocketed before. Even though it could happen anywhere and happens to almost everyone at some point in life, the sense of personal violation and helplessness is overwhelming and frustrating. 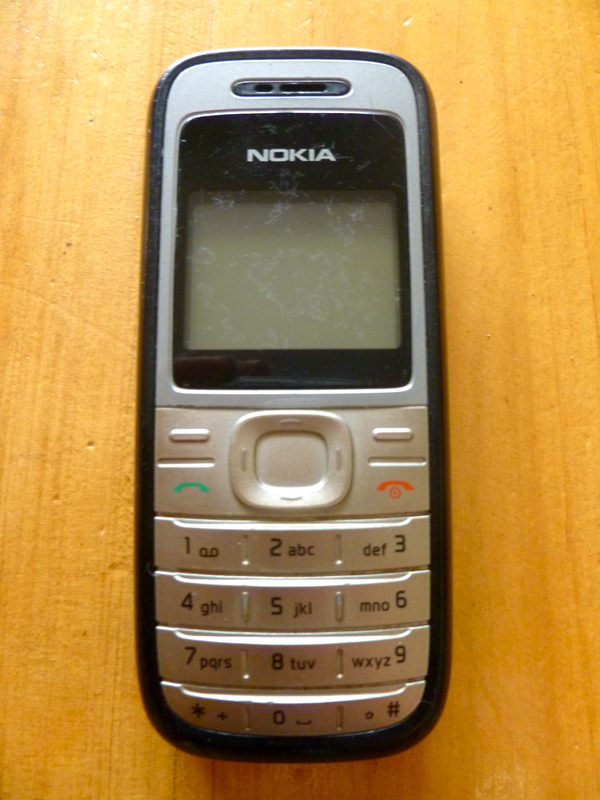 I also really loved my phone, a simple but user-friendly, practical, and durable Nokia 1200 that I got in Uganda in 2008. Instead of a camera it has a flashlight. 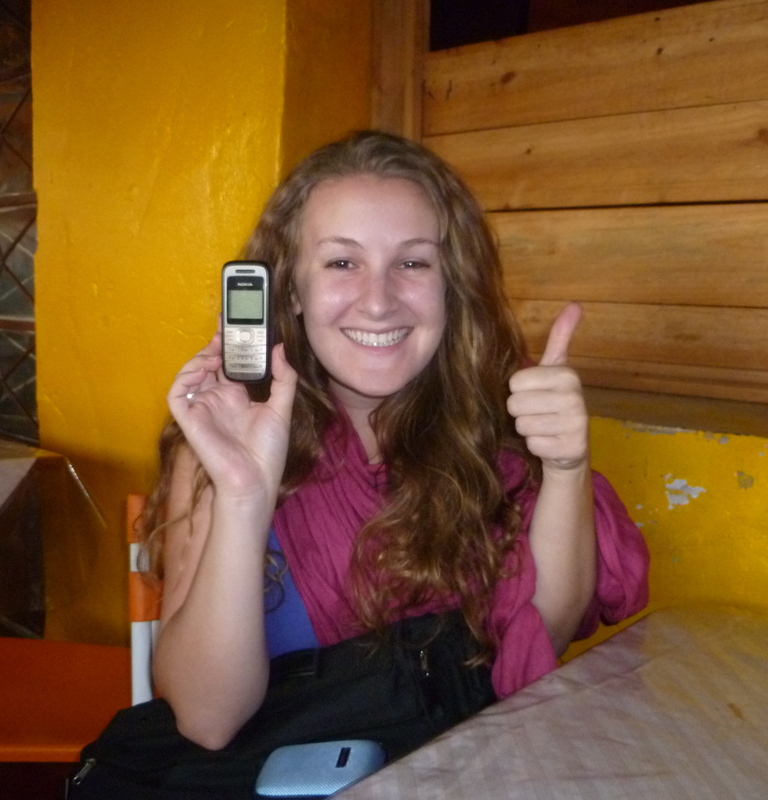 Now that's what I call a smart phone. 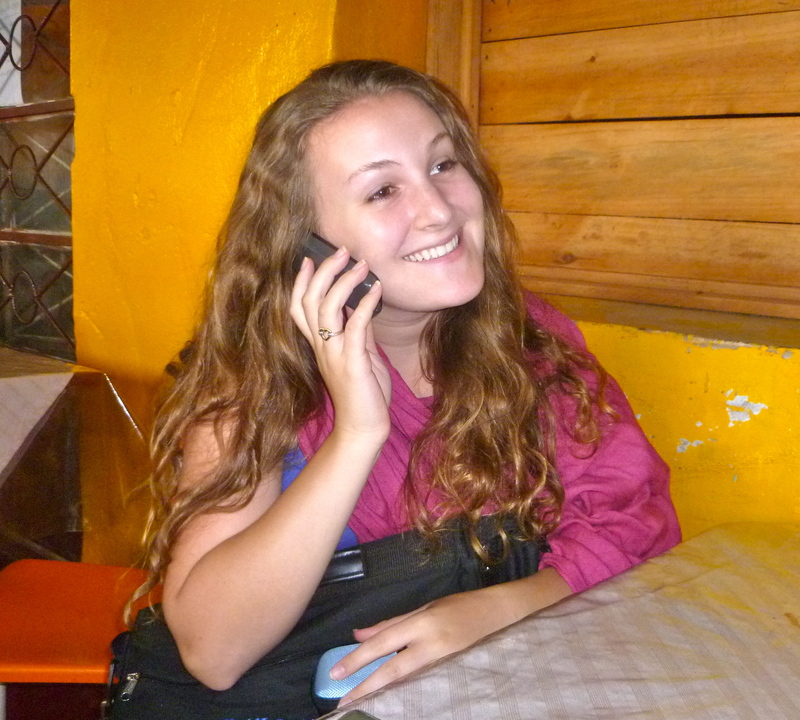 I spent the rest of the day kicking myself for not putting the phone in my purse, while at the same time breathing a sigh of relief that it was only my phone stolen and not my wallet, camera, passport, or laptop – as I’ve heard happen to expats and Rwandans alike. While I was lamenting the loss of my wonderful number (it ends in 3366! ), contacts, saved messages, calendar reminders, and high scores on Snake, a friend told me about a service that the mobile provider MTN offers: SIM swap. I went to the MTN service center later that day and, after answering some questions to validate that that number was indeed mine, they issued me a new SIM card with my number for a whopping 83 cents. I was happy to learn that I would be able to keep my number, and even happier when the MTN representative told me that they have a partnership with the local police to track down stolen phones. A bit skeptical but hopeful nonetheless, I went to the police station and filed a report a few days later, which I then brought to the MTN service center. From my phone number alone, MTN was able to find out the serial number of my Nokia 1200 and track the new number that was using it. Once they populated the list of that number’s recent calls, MTN sent the information to the police, who went about calling the contacts of the user to find out where he was. Ultimately, the police, using “tricks” to lure him out that they couldn’t disclose to me, apprehended the man using my phone and brought him to the station. He unfortunately wasn’t the thief and simply had had the bad luck (and judgment) to buy the phone on the black market for about $13 one week ago. But he rather graciously and apologetically handed over the phone. I do feel a bit guilty for taking away his innocently-purchased phone, but he knows where to find the thief-seller and plans to work with local authorities to pressure him into giving back his money. Although my original SIM with my contacts and messages is gone, I’m happily reunited with my phone. I’m also extremely impressed with MTN and the Rwandan police. Within one week of my filing a report, they tracked down my phone and returned it to me – a phenomenon that I’ve never heard of happening anywhere. And, in contrast to what most people envision about African police and bribes, the only money I had to give the police was about $6 to pay for airtime to call the contacts of the man who had purchased my phone. Being pick-pocketed isn’t fun, but it was a gentle reminder to not let my guard down too much. Given that I’ve been here for almost 9 months, it’s a fairly good statistic and a reflection of Rwanda’s impressive situation that this is the only time I’ve run into any issues regarding personal security – and that it was resolved within one week. All in all, it was a pretty enlightening experience. This past weekend I went on a trip with some friends throughout southwestern Rwanda and explored a few more parts of the country. 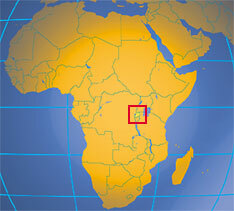 We started out in Butare, a town two hours from Kigali where the National University of Rwanda is located. Besides being a cozy college town, Butare boasts one of the country’s main historical ethnographic museums and an enormous, lush arboretum run by university agricultural researchers. 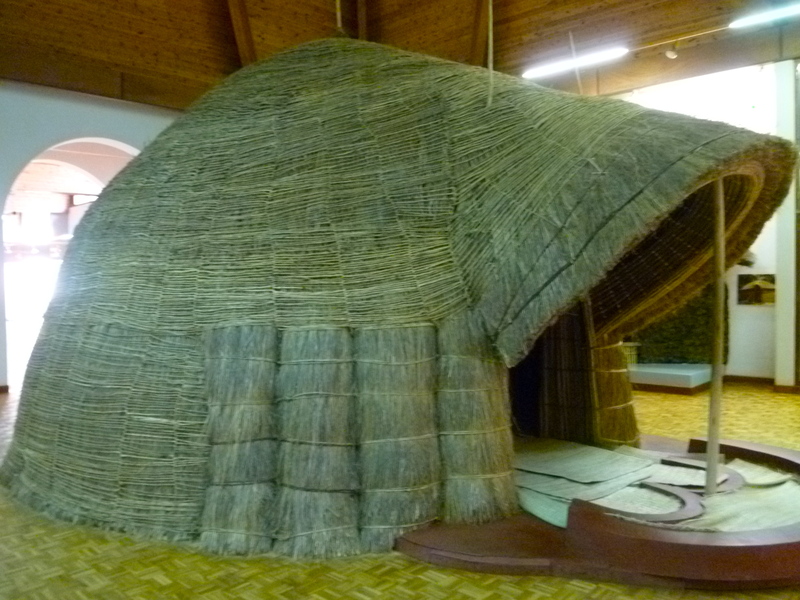 The inside of the hut was surprisingly spacious and the banana leaves gave it a really nice smell. I wouldn’t mind living in one. They were quite comfortable with humans and didn’t seem to mind the passing students or even the clicking and flashes of cameras. 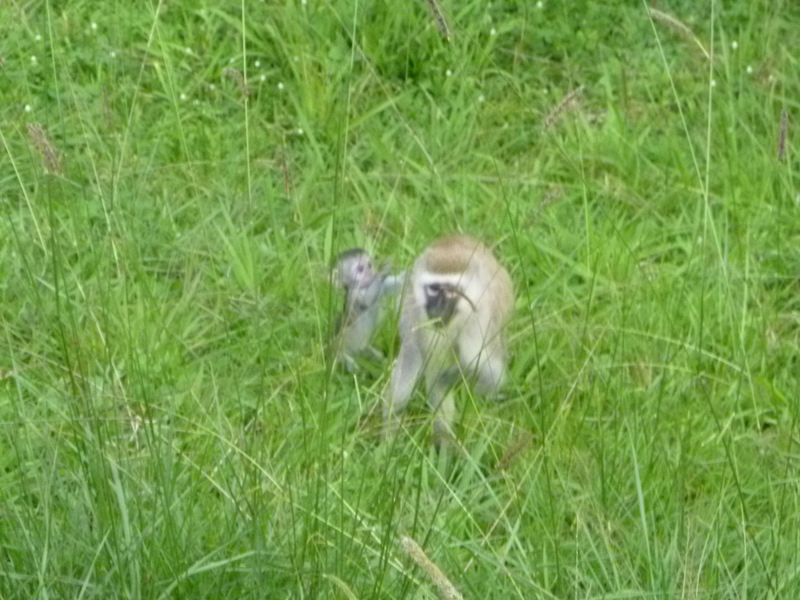 I think they are Vervet monkeys. 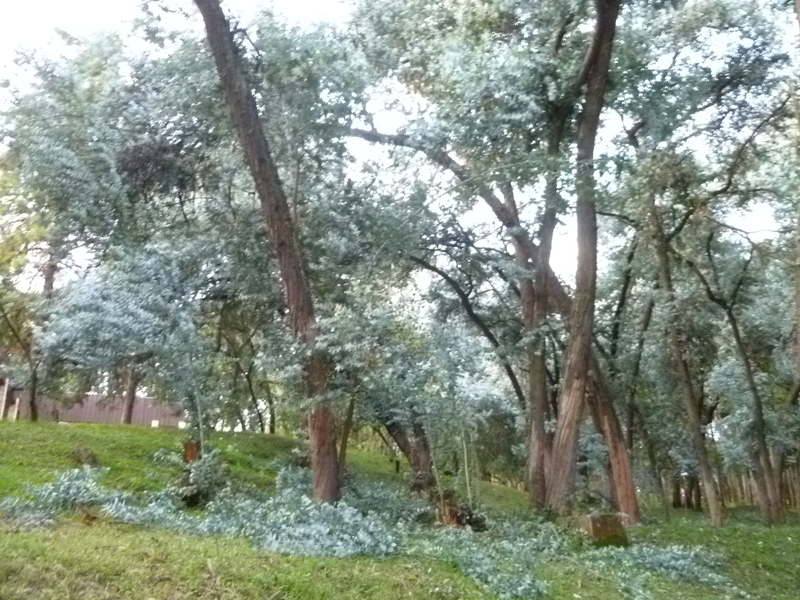 The arboretum at the National University of Rwanda, technically called the Ruhande Arboretum, covers 200 hectares of land and was first planted in 1933. 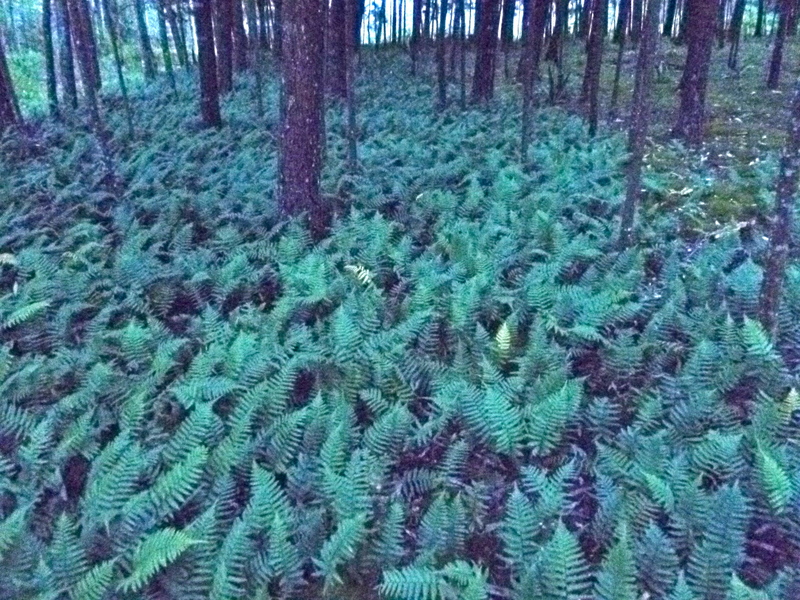 It is home to about 200 deciduous trees and conifers, both indigenous and imported species. It’s often full of students relaxing or studying, especially during exam period. 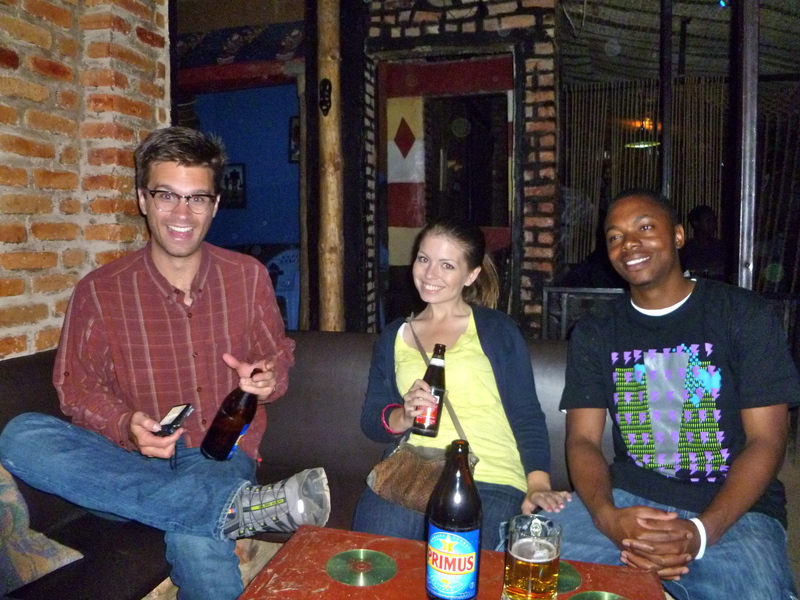 Later that night, we discovered a funky bar/club tucked away behind a restaurant in Butare. It’s called Space Place and the ambiance and DJ were so good we danced for three hours straight. Unfortunately, a trip around Rwanda is rarely complete without a visit to one of the numerous genocide memorial sites spotting the countryside. On Sunday morning, some of us headed out to Nyamagabe/Gikongoro, a beautiful hill town that is also the site of the Murambi genocide memorial. I’ve visited several genocide memorials and this was by far the most graphic, in addition to being heart-wrenchingly tragic. 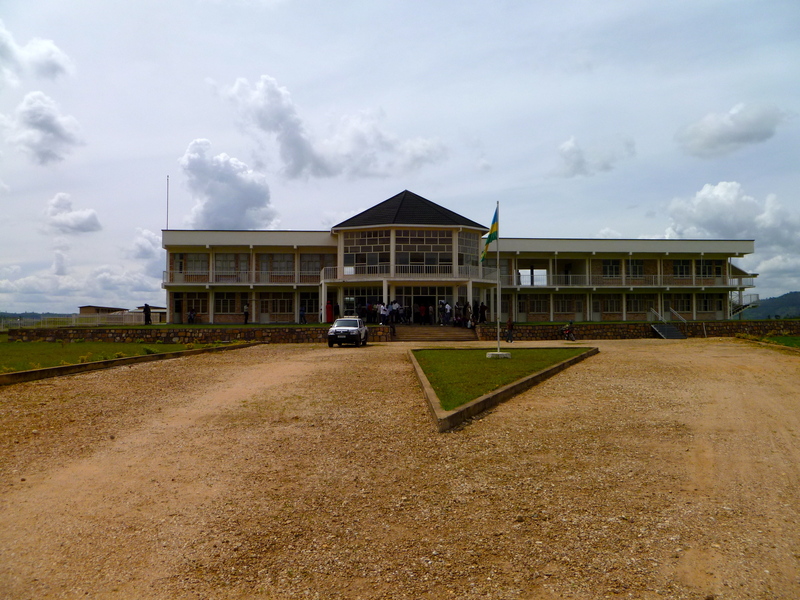 The building pictured below was constructed in the early 90s to be a technical school, but before it could open to receive students the genocide broke out in Gikongoro. Over the course of the killing spree, more than 50,000 Tutsis were slaughtered and thrown into mass graves around the technical school. What’s even more disgusting is that French soldiers, who were deployed in Operation Turquoise to essentially protect and assist the genocidal government, arrived at the site towards the end of the genocide and played a game of volleyball on top of fresh mass graves. 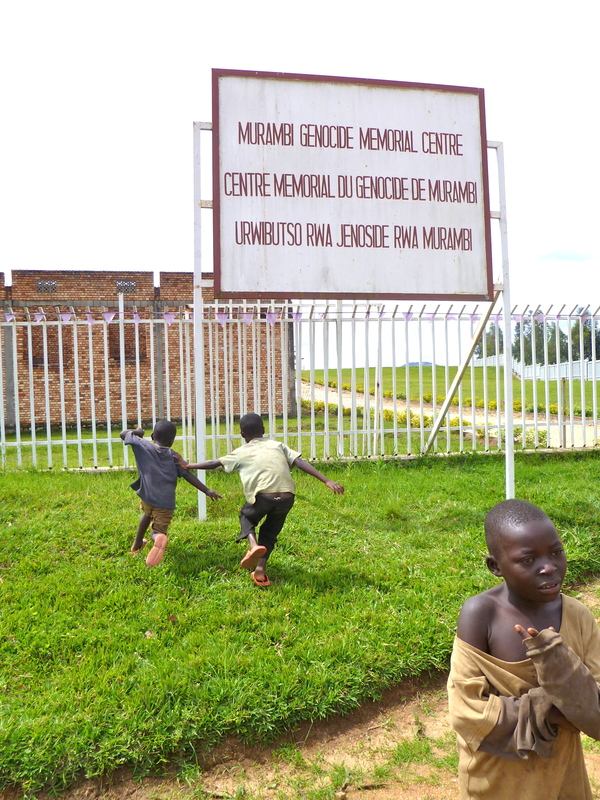 Because of French support to the Interahamwe murderers in this area, the genocide was actually prolonged in the southwestern part of the country only. Behind the main building there are rows of school rooms that are now filled with whole preserved skeletons of actual genocide victims in various positions of anguished death. Some of them still had tufts of hair or disintegrated clothing on them and many of them were the tiny skeletons of murdered children. The majority of those murdered at Gikongoro were re-buried with proper burial rites, but a few hundred are now on display in one of the most graphic and disturbing sites aimed at ensuring people never forget. After decompressing and digesting what we had witnessed, we headed to Nyanza, a town on the road back to Kigali that hosts another official museum of Rwandan history and culture. There, we visited the site of the former king’s residence: a much larger banana leaf house surrounded by several other houses, in addition to a building constructed by the Belgians to win over one of the last kings and secure his support and conversion to Christianity. Unfortunately no pictures were allowed, but here’s a link to see the banana leaf house. 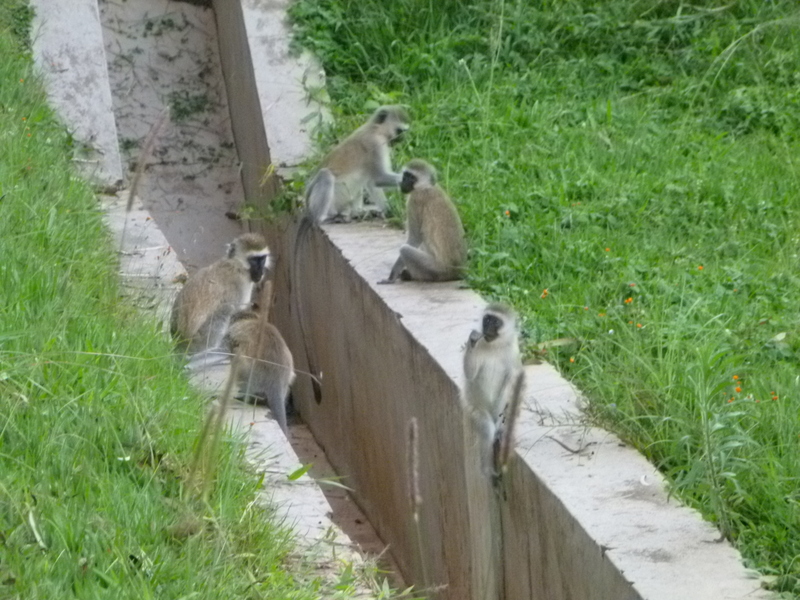 It was quite an adventurous weekend and it’s nice to be back home in Kigali. Now I can say that I’ve visited most of southern/western Rwanda – Butare, Gikongoro/Nyamagabe, Nyanza, Gisenyi, and Kibuye. Next on my list are Nyungwe forest (where the most remote source of the Nile has been identified), Akagera National Park, and Virunga National Park. For such a small country, there is a surprising number of sites and attractions to visit! 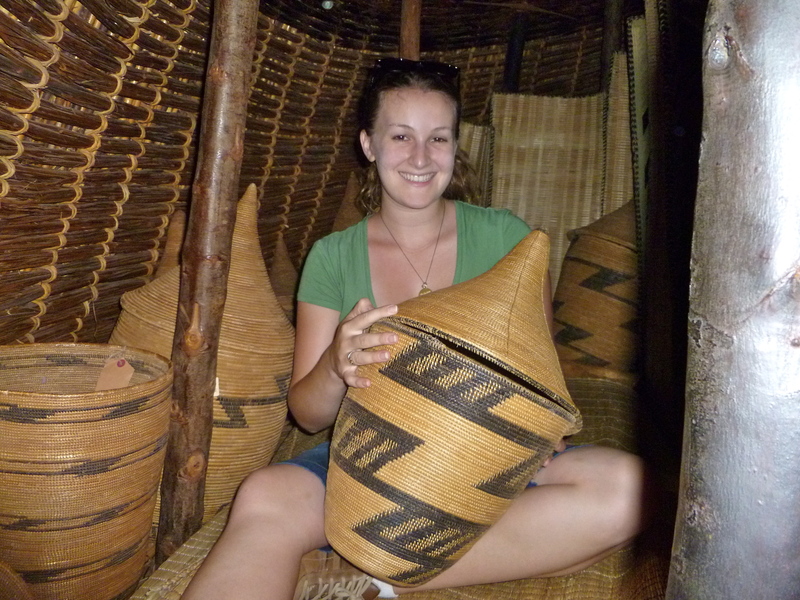 Rwandan names have deep significance and offer a unique lens into culture and family here. For those of you who share my fascination with etymology of words and names, Kinyarwanda names provide a trove of discoveries. 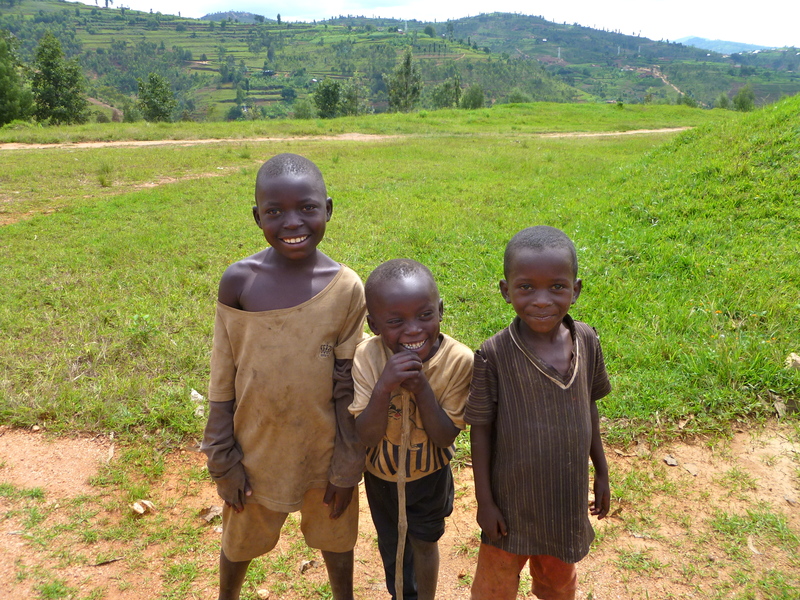 There are three types of names that an individual can have, including a Kinyarwanda given name (surname), a name from the father’s side (family name), and a Christian or Muslim name, depending on the religion. Some Rwandans keep all three names, but it is more common for people to choose only two as their official name – in some cases, parents let the child decide which combination of names s/he wants to be called. Some parents give all of their children names with with the same root to have a familial theme. For Catholics, a Christian name is given only at the baby’s Baptism. 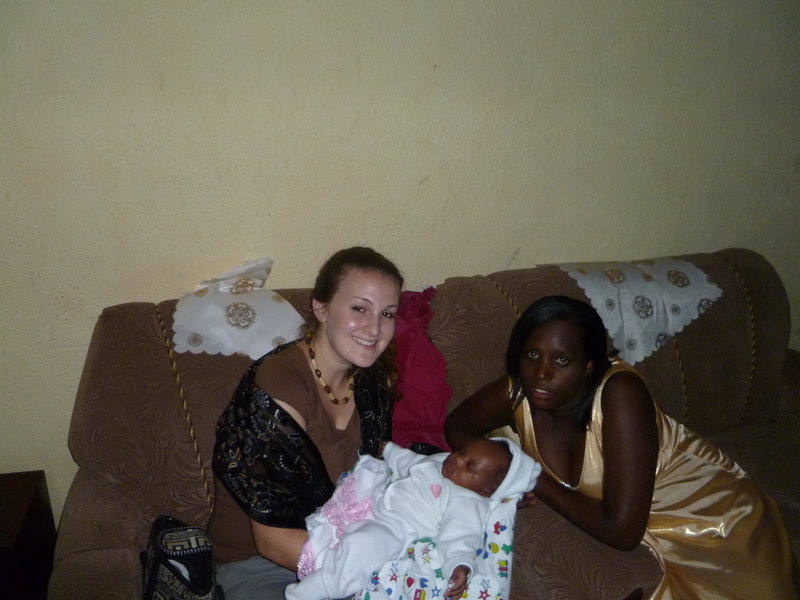 About one month after a baby is born, the family holds a naming ceremony, called kwita izina. At this ceremony friends and family gather to celebrate the birth and offer suggestions of names for the child. 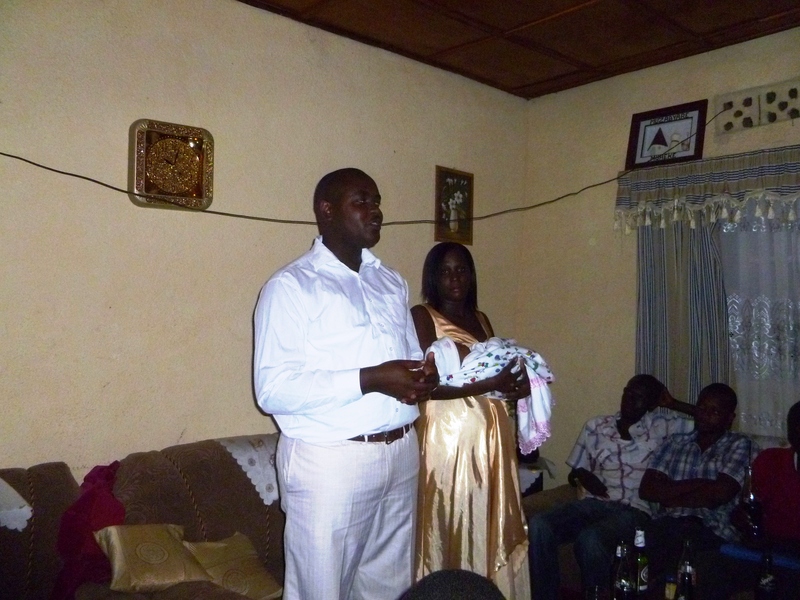 I recently attended the kwita izina of a friend, Olivier, whose wife, Jeannette, had just given birth to a baby girl. 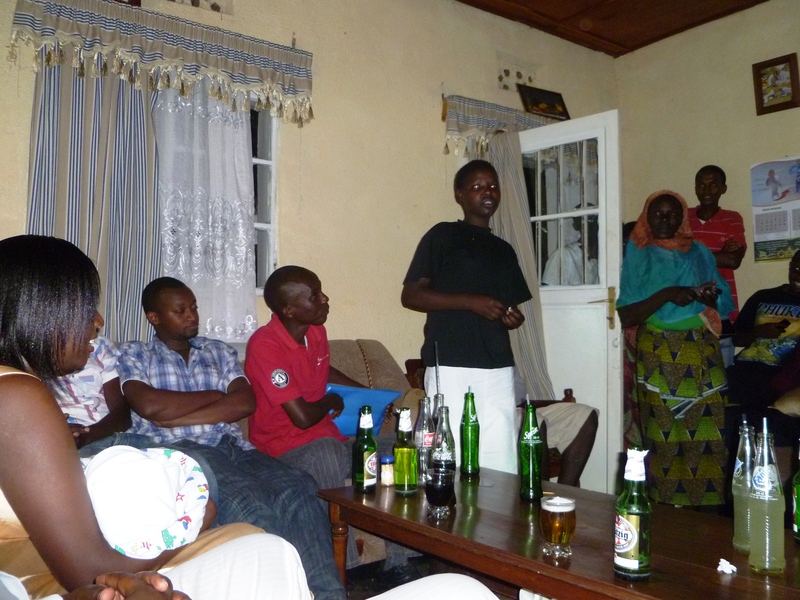 Each of the 40-some guests present stood up and suggested a Kinyarwanda name paired with a Christian name. My name suggestion was Umutesi Helene. Ultimately, Jeannette and Olivier unveiled a name that they had already chosen: Keza Mporera Arnica (pronounced KAY-zuh mm-ho-RAY-ruh AR-ni-ca). Keza (“beautiful”) is her Kinyarwanda name, Mporera (“compassion, mercy”) is her family name from Olivier’s grandmother, and Arnica (a healing flower) is her Christian name.